Who let the cats out? In Herding Cats™, these frisky felines have a mind of their own, and only the Cowdog can wrangle them back up again. Cats are lassoed by a Cowdog of a matching color, and you want to be the player to capture a herd of three cats. Beware of the Stampede card that will send the cats running to score points for other players, and look out for the Crazy Cat Lady, who may be able to help you out, if you*re in a pinch. 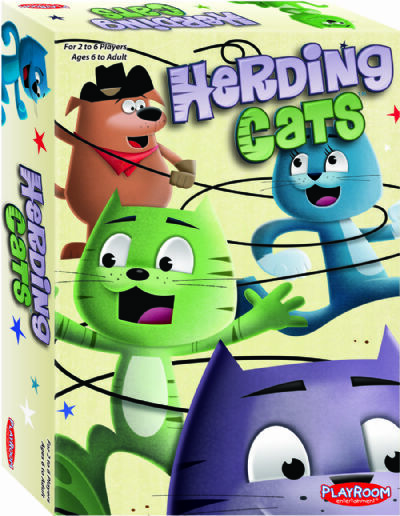 This silly card game will delight the whole family and show that Herding Cats is no easy task!